1. Hand to Mouth, 2. Jane Wynn- Hands, 3. 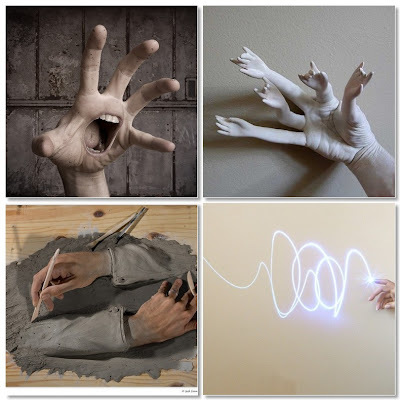 Sculpting Hands, 4. "Where the spirit does not work with the hand, there is no art"
After being sick the last few days, it feels like I need a few extra hands to get all the work done. While laying on the couch, there was plenty of time to make my to do list longer.